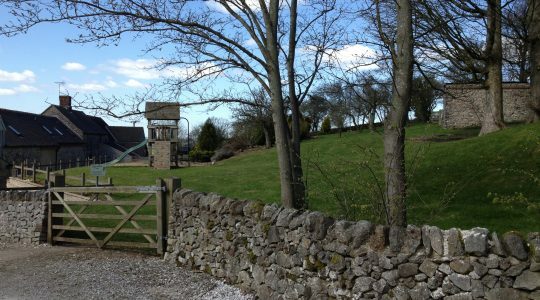 Farmhouse & 4 cottages, along with a dining barn and large games room, to accommodate large groups of up to 52 guests. 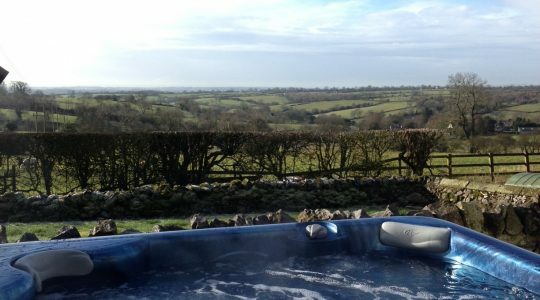 Rural location with stunning views and only 20 mins from Alton Towers. The Property: 4 individual cottages + 7 bedroom Farmhouse, renovated to a high standard and offering all modern amenities, while retaining original features that liken themselves to a Peak District Holiday. 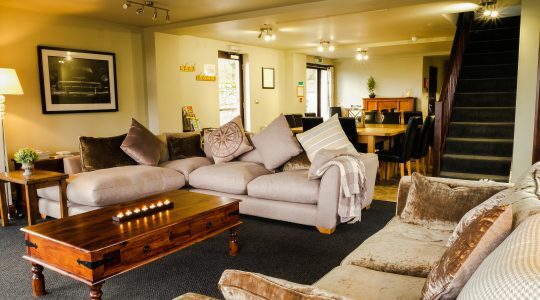 All guests can make use of the large games barn, the fire pits in the garden, the children’s play area, and the BBQ patios. 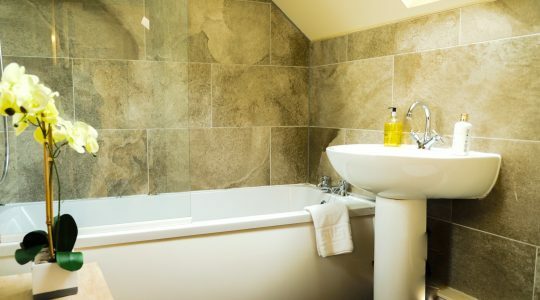 Foxglove Cottage has 4 double bedrooms plus a double sofa bed in the open plan lounge. 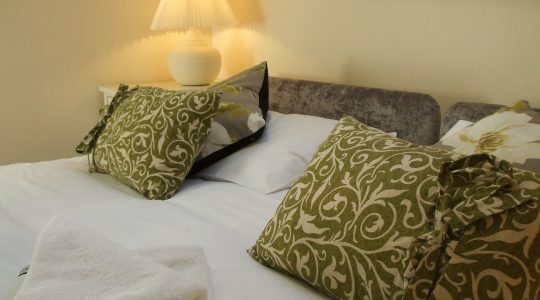 The 3 smaller cottages (Daisy, Clover and Bluebell) provide a double bedroom and with a twin or additional double bedroom. A further double sofa bed is provided in each lounge, should there be 6 guests. 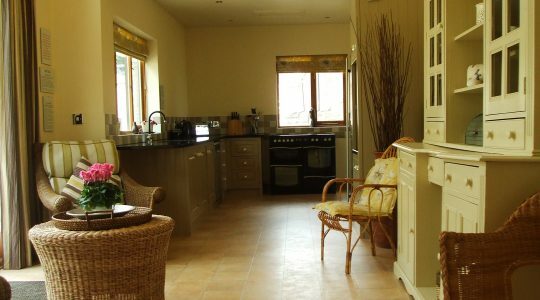 Every cottage has its own kitchen with a hob, oven, fridge-freezer and dishwasher. 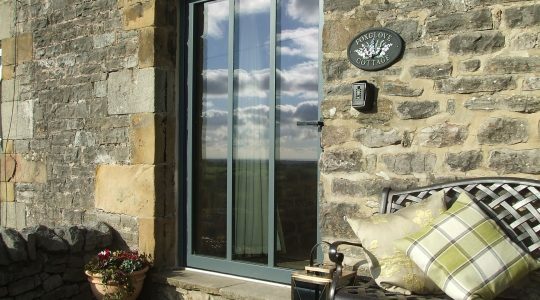 All the cottages are on ground level for easy access and have south facing views. 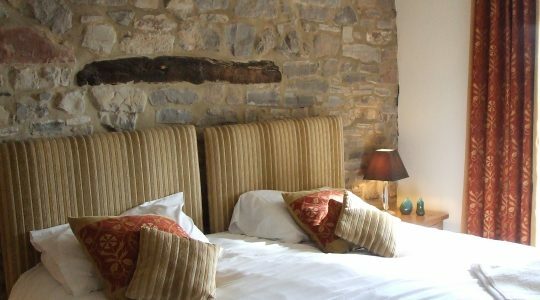 High View Grange Farmhouse offers 7 double bedrooms, 3 of which are en-suites and 4 of which can be twin rooms if requested on booking. 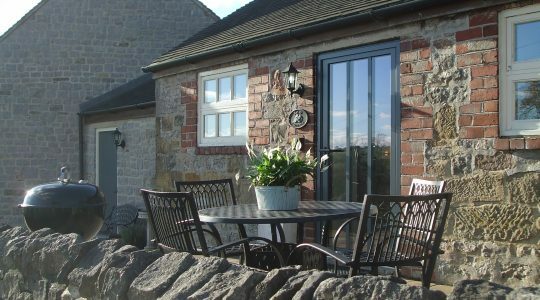 The Farmhouse offers a large open-plan kitchen, dining for up to 23, and a downstairs toilet and garden room with stunning views over the village of Kniveton. 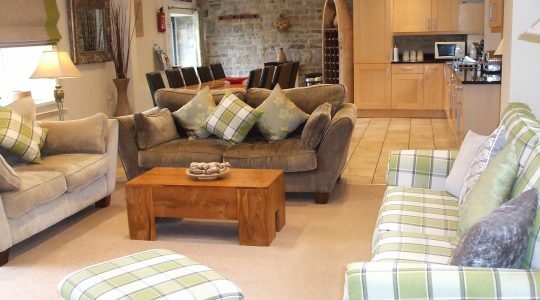 The Barn is a large communal area with accommodation for 7 upstairs. 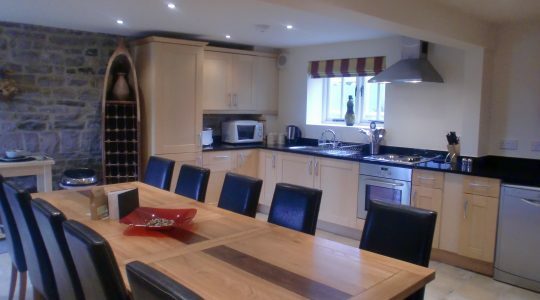 Hire of The Barn with the cottages provides an ideal location for a group of guests to cook, eat and relax together. 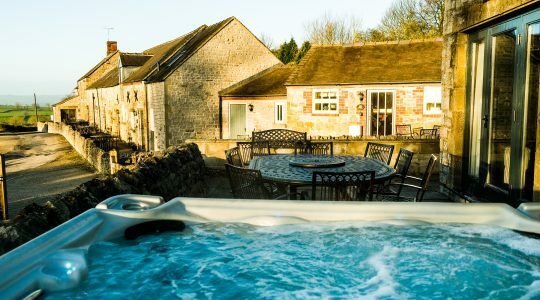 The terrace has a hot tub and a BBQ, so you can soak up the fantastic views over the village of Kniveton. 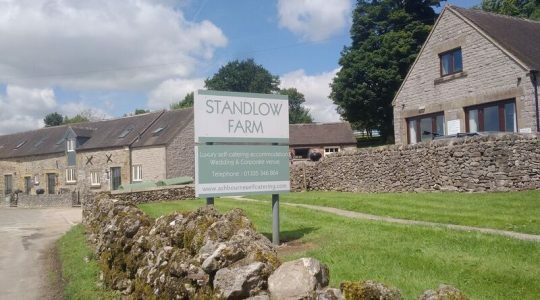 Location and Local Facilities: The views are spectacular and Standlow is situated on a quiet country lane, where traffic is at its minimal. A 1/2 mile walk takes you to the small village of Kniveton, where the local pub serves fine food and ales. Carsington Water is situated a mile away, and offers windsurfing, sailing, wildlife and cycle hire. The 12-mile perimeter can be cycled or walked, visiting Hopton village and finishing at the visitors centre. Alton Towers, Chatsworth House and all that the Peak District has to offer are within easy reach.